Dolphin World is not just a Dolphinarium where sea animals amuse guests with bright numbers, but also a great opportunity to get to know the inhabitants of the sea, learn more about their lives and habits, learn to take good care of the world around them. For close contact with animals everyday fascinating performances will delight both adults and children. Dolphinarium in Hurghada is a great vacation place for the whole family. Children especially will love it, because nowhere else they can get acquainted so closely with these amazing animals! You can watch them playing in water and even touch! And photos taken with the dolphins will be a perfect decoration of your family album. 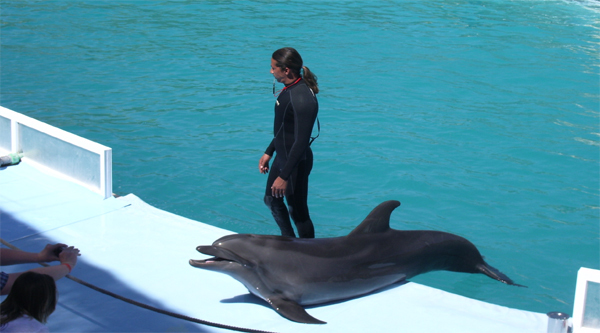 Dolphinarium in Hurghada is considered one of the most modern and promising in the world. 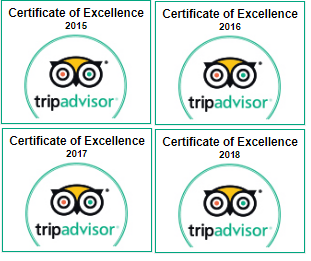 All norms of comfortable stay both of animals, and personnel with guests are observed here. The hall includes 1,200 seats, has two scenes and seats of increased comfort. A performance of trained sea animals is not only a fascinating show with dolphins, but also seals, sea lions and walruses will show you their amazing tricks. After the end of the presentation, you can take a picture with your favorite marine inhabitants (with extra charge).